Disconnect throughout the day and recharge something other than your electronic device! 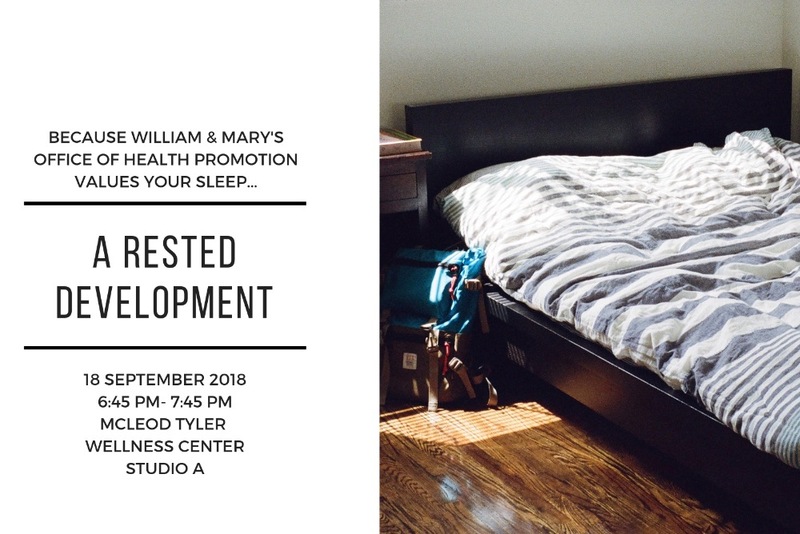 If you are tired of feeling tired, then join our campus sleep guru for an enlightening, early evening discussion that will lift spiritis - and eyelids, as you learn how to fall asleep, stay asleep, and then awake without an alarm for a day packed with the energy your brain and body need to flourish. Take in the beauty of the new Wellness Center, as you discover the tips and tricks to manage and optimize your daily energy.